Key economic data and stock prices almost always change before the narrative does. Although the housing meltdown didn’t really come into force until 2007, new home sales had already peaked in 2005 and this corresponded with the stock price of home builders hitting all-time highs. The first chart shows new home sales topping out in July 2015 and the same for Lennar’s stock price as the second chart depicts. When investors came to realize that the reality was morphing into something very different than perceptions, it was not pretty as the stock dropped approximately 90% from peak to trough. It really did take two years before the subprime crisis subsumed the public’s consciousness and economy and unleashed a series of events that brought the world economy to its knees. The mortgage/housing bubble between 2002 and 2007 is a great example of how big money could be made riding a false premise and then even more from betting against it at the appropriate time. Of course, this is far easier said than done but it is illustrative of Soros’ fertile fallacy. During this time there was a view that we had entered a new era in housing and there would be a permanently higher source of demand due to easier loan terms and the desire among politicians to have the United States be an ownership society. This belief led to more demand for housing which pushed up property values and created better loan performance and this, in turn, generated more supply of mortgage capital. This is what Soros calls a dynamic disequilibrium, or a far-from-equilibrium situation. Eventually, reality becomes too distant from perceptions and this ultimately forces market participants to reevaluate their assumptions and then the bubble eventually bursts. The chart above shows the dollar value of single-family mortgage delinquencies among the 100 largest domestic banks. One can see constant stability through 2006 which bankers and investors felt comfortable projecting into the future. The incentive to originate more loans due to compensation structures rewarding growth, along with the strongly performing collateral giving them more confidence to invest in housing, led them to put more capital into the market. Eventually, everyone that wanted to buy and could buy homes were already owners, thus leaving the margin very poorly qualified and ill-prepared future homeowners who were far riskier credits. The miracle of securitization and rating agencies who passed out fake IDs to get people into the party enabled these borrowers to get credit that should never have been available to them. They had no margin of safety and at the slightest setback, they began to default…in mass. In some ways what is happening in retail has some similarities with what occurred in housing. In retail’s case, it has been a multiple decade build up starting with the interstate highway system and GI bill allowing for the mass creation of suburbia and homeownership. Our capital markets allowed for the construction of strip centers and malls to service all of the new suburban households. Consumer finance gave people the buying power to purchase what they needed and desired. It was a beautiful, symbiotic system that brought benefits to many. Like most good ideas, however, they can go too far. Since 1995, the number of shopping centers in the U.S. has grown by more than 23% and GLA (total gross leasable area) by almost 30%, while the population has grown by less than 14%. Currently, there is close to 25 square feet of retail space per capita (roughly 50 square feet, if small shopping centers and independent retailers are added). In contrast, Europe has about 2.5 square feet per capita. So the long awaited retrenchment seems to be upon us. There has long been talk about online sales cannibalizing brick and mortar but a lot of people dismissed it since online is still a small (but rapidly growing) percentage and people still want the social experience of shopping and being able to see and touch the goods they are considering buying. 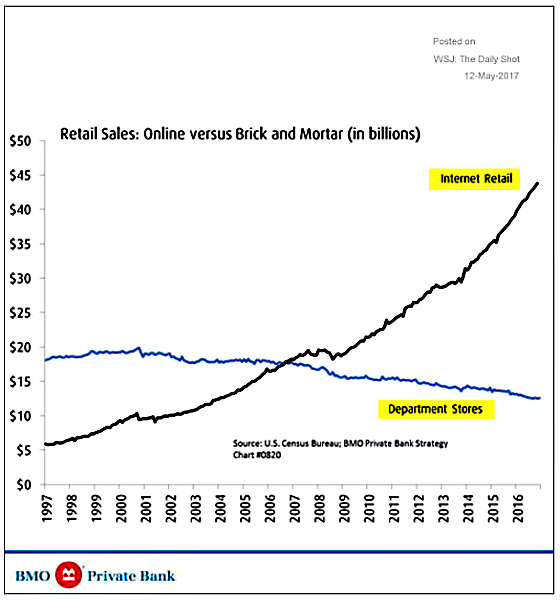 Department stores are bearing the brunt of much of the shift to internet retail as this chart shows. I think Amazon is proving that convenience and competitive prices are easily trumping social and tactile desires. Futuristic thinkers were talking about major retail challenges for awhile but investors didn’t really bet with their wallets until about a year ago with the exceptions of Sears and JCPenney which were in some ways the ultimate canary in the coal mine.It now seems as if the dam has burst and retail stocks and REITs are now pariahs. 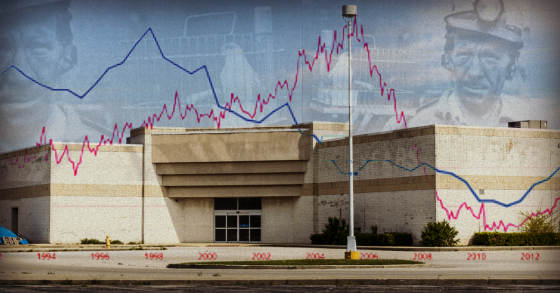 Let’s take a look at some major retailers and retail REITs and see when their stock prices peaked and at what level and how far they have dropped. With the exception of Sears Holdings and JC Penney, which have been dying a slow death for over 10 years, the other major retailers peaked approximately one year ago. The price drops have been pretty significant and accelerated with Macy’s terrible earnings. 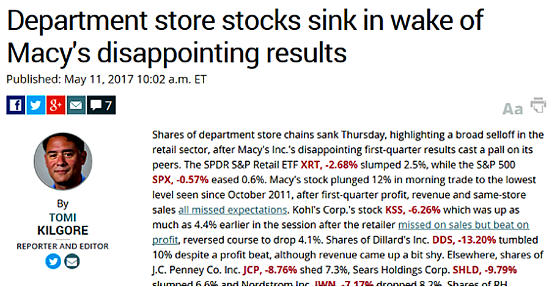 Not surprisingly, this has carried over to retail REITs, although with a lag and to a lesser degree than the retailers. This makes sense since REITs have a more diverse business model and are not 100% exposed to weak retailers. They can also have exposure to retailers that are doing well like Home Depot and Marshalls, as well as local service providers that can’t be easily disrupted by the internet. With the exception of Macerich and Regency Centers, every REIT in the table above peaked on July 25th, 2016. Regency was a month behind and Macerich came close to its previous high on July 25th but fell a little short. What has Amazon done since July 25th, 2016? Its stock has appreciated by 28.1%. Similarly, S&P says, a secular change in the way people work has put a crimp on demand for suburban office buildings. Corporations have been relocating from the suburbs to city centers to attract Millennial-age employees. “Such moves also generally encompass a reduction in overall square footage, reflecting the proliferation of telecommuting arrangements,” according to S&P. S&P sees bank exposure to retail and to suburban office parks as relatively limited. “However, increased delinquencies in this sector could result in possible contagion effects across other types of CRE,” according to S&P. “For example, banks are active lenders to REITs, and financial distress in retail or office subsectors of CRE could therefore indirectly hurt banks’ asset quality. While retail REITs are still seemingly healthy, the drop in their share price does push up their leverage levels quite a bit. 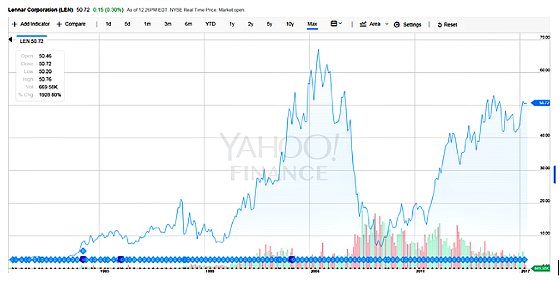 For example, at its high Kimco’s debt to enterprise value was approximately 27% and now it’s 38%. 38% is still very low leverage for real estate, but it is still a meaningful increase nonetheless. So where am I going with all of this? The question is whether the narrative/perceptions are in a positive feedback loop in which poor results lead to more investor disdain and lenders and vendors withdrawing financing which leads to more store closures and vacancies which impacts collateral values and results in deteriorating shopping centers and strip centers without the incentive or financial strength among owners to reinvest to improve them or whether investors or lenders see this shake out as an opportunity to buy assets at distressed prices and then they can revitalize them? I’m skeptical of the latter. I think this is a pretty significant change in investor sentiment that is being backed up by very poor operating results by retailers, huge numbers of stores that still need to close, weakening financial strength among retailers and ultimately their vendors, and ultimately skittish lenders that will drive up the cost of capital to retail owners. It’s not a pretty picture and one that I expect to deteriorate further over many years. It does feel like we are in a dynamic disequilibrium. 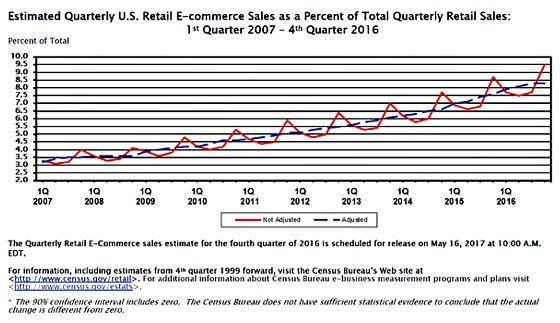 Are some retail stores the canary in the proverbial coal mine? Where are we headed? ‹ Shifting Into Reverse – Where is The Auto Market Headed? More than just a switch to online, it seems like the whole “mall experience” has lost its appeal and millennials have less spending power as well.